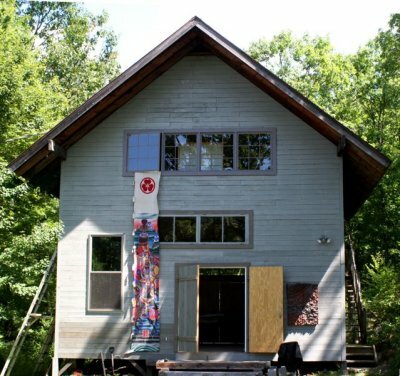 The barn is used as a space for special projects and workshops for emerging and professional artists in clay, wood, drawing, painting, poetry, music and other arts. Though the building is still a work in progress, the space and light inside are uplifting and energizing! As we gather the resources, we are renovating the barn. If you would like to help please contact us.